This weekend’s heavyweight rematch between Dillian Whyte and Dereck Chisora has the makings of another mouth watering scrap once again. Sometimes rematches don’t live up to expectations but if you go back and watch the first fight from a couple of years ago and see how both men have progressed since, you can’t help but think we could get something even better tomorrow night at the 02 Arena in London. Styles make fights at the end of the day and these two have a great clash of fight styles. There’s plenty of talk ahead of the fight too — as you’d expect with the characters involved. 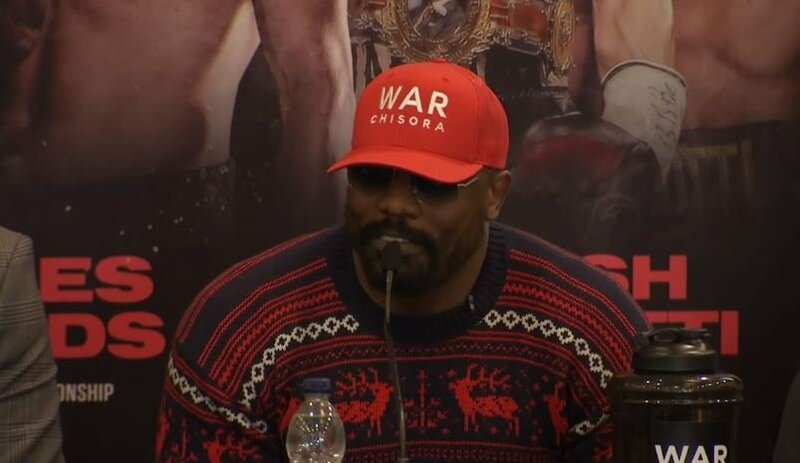 At one point at the final presser this week Chisora and Whyte’s promoter Eddie Hearn got into it in a friendly banter kind of way but Chisora threw some verbal daggers at the promoter. The fight will be on Sky Sports Box Office for those in the UK and Ireland and will be shown on Showtime for those in the US. The Showtime distribution of the fight in the US came about this week after the network came in with a substantial offer that streaming service DAZN did not decide to match or better and passed on the fight.